Peter Salem was a private eye whose cases were dramatized on the Mutual radio network from May 1949 to April 1953, but for over 50 years not a single copy of the program seemed to have survived. The voice of veteran radio actor Santos Ortega was Peter Salem for the entire run; playing his assistant Marty was Jack Grimes, another radio actor whose voice, once heard, you would never mistake for another’s ever again. About four years ago a five-minute opening clip finally turned up in a college archive in Arkansas, a story called “The Affair of the Murderous Mirror,” a tale which apparently had the same plot line as “Reflection of Death,” an episode of The Shadow not surprisingly written by the very same author, Louis Vittes. Both of these brief excerpts can be found online with links at http://www.otr.com/affairs.shtml. A very nice way for OTR fans to celebrate the end of the year. I messed up on the previous blog post regarding the Dr. Audley movie I recently watched on DVD, so I rewrote that this afternoon, and with a big boost from Tise Vahimagi, I wrote up the entry in Part 22 for Anthony Price, who wrote the books, this evening. I also worked on a couple of others in the P section, which includes one of the few of Otto Penzler’s projects that didn’t quite work out. And I think I know why. Do you? DRAKE, LISA [with OTTO PENZLER]. The Medical Center Murders. Pocket Books, pb, 1984. Setting: New York City. (Written by Thomas Gifford, 1937-2000, from a detailed plot outline by Edward D. Hoch, 1930- , q.v.) This is the second of a three-book mystery series conceived by Otto Penzler, q.v., in which the ending was withheld and a cash prize was offered to the first reader to send in the correct solution. See Otto Penzler�s entry for others in the series. EDWARDS, R. T. [with OTTO PENZLER]. Prize Meets Murder. Pocket Books, pb, 1984. SC: Matthew Prize. Setting: California. (Written by Ron Goulart, 1933- , q.v., from a detailed plot outline by Edward D. Hoch, 1930- , q.v.) This is the first of a three-book mystery series conceived by Otto Penzler, q.v., in which the ending was withheld and a cash prize was offered to the first reader to send in the correct solution. See Otto Penzler�s entry for others in the series. GIFFORD, THOMAS (EUGENE). 1937-2000. Add the following two titles. _The Medical Center Murders. [by Lisa Drake with Otto Penzler] Pocket Books, pb, 1984. Setting: New York City. See the entry under Lisa Drake. _This Prize Is Dangerous. [by Matthew Prize with Otto Penzler] Star, UK, pb, 1985. See the entry under Matthew Prize. 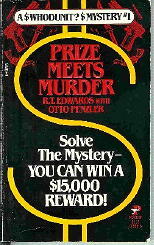 _Prize Meets Murder [by R. T. Edwards with Otto Penzler]. Pocket Books, pb, 1984. SC: Matthew Prize. Setting: California. See the entry under R. T. Edwards. HOCH, EDWARD D(ENTINGER). 1930- . 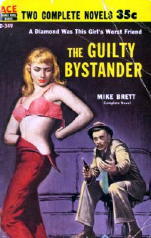 Although not named, the behind-the-scenes plotter of a three-book mystery series in which a cash prize was offered to the first reader to send in the correct solution, which was withheld from the book. All three books were then finished by other mystery writers whose names were also not mentioned. _The Medical Center Murders. See the entry under Lisa Drake. _Prize Meets Murder. See the entry under R. T. Edwards. _This Prize Is Dangerous. See the entry under Matthew Prize. PENZLER, OTTO. 1942- . Well-known editor and publisher of mystery fiction in the United States; owner of The Mysterious Bookshop in New York City. Nominally the co-author of a three-book mystery series which he conceived; a cash prize was offered to the first reader to send in the correct solution, which was withheld from the book. In actuality, regardless of the bylines on the books, all three were plotted by Edward D. Hoch, 1930- , q.v., and written in final form by either Ron Goulart or Thomas Gifford, qq.v. PHILLIPS, MARY. 1915- . Author of one novel included in the (Revised) Crime Fiction IV. See below. PLUNKETT, SUSAN (IRENE). 1945- . Add as a new author entry. Lives in Washington state; primarily a writer of romantic fiction. PRIZE, MATTHEW [with OTTO PENZLER]. This Prize Is Dangerous. Star, UK, pb, 1985. (Written by Thomas Gifford, 1937-2000, q.v., from a detailed plot outline by Edward D. Hoch, 1930- , q.v.) SC: Matthew Prize. This is the third of a three-book mystery series conceived by Otto Penzler, q.v., in which the ending was withheld and a cash prize was offered to the first reader to send in the correct solution. See Otto Penzler�s entry for others in the series. 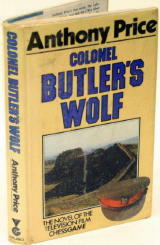 After poor sales on the first two, Pocket cancelled the series in the US, and this final book appeared only in the UK. Addenda to CRIME FICTION IV – Part 22. This morning Al Hubin sent me Part 22 of his ongoing online Addenda to the Revised Crime Fiction IV, and I uploaded it to the CFIV website this afternoon. It’s noticeably shorter than previous installments. Al has exhausted most of the databases that he’s been systematically checking his records against: Contemporary Authors, Social Security files and so on. Most of the data now consists of small incremental pieces of information. Death dates, correctly identifying pseudonyms, adding settings, series characters, films made from movies, and every so often, new authors and titles that have been been missed till now. Some small highlights from this installment. The Mike Brett who wrote a couple of books in the Ace Double series has been identified by his daughter as the same Michael Brett who later wrote the Pete McGrath PI novels for Pocket, among other work. The “Leslie Frederick Brett” who previously was supposed to have been the Ace Double Mike Brett has been scratched as that author. He is now the Michael Brett who wrote one criminous three-act play included in CFIV. This is probably confusing. As soon as I have a free moment or two, I’ll do my best to straighten it all out, and you’ll read about it here first. 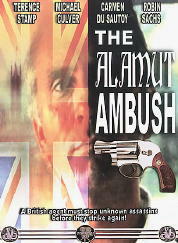 Also discovered have been three made-for-British-TV movies based on the Dr. David Audley spy novels by Anthony Price, films that had escaped Al’s notice until this week, when I happened to watch one of them (The Cold War Killers, based on The Labyrinth Makers) in a bargain DVD four-pack of “War Movies” I bought cheaply at a local library sale. Also note the following entry. Perhaps she was the longest living member of the MWA? HANK REINEKE on JOHN PEARSON. John Pearson was one of the authors recently covered here on the Mystery*File blog in a recent installment of the Addenda to the Revised Crime Fiction IV, by Allen J. Hubin. I’m glad to have been of some assistance. Pearson was, arguably, the best of the Ian Fleming biographers (The Life of Ian Fleming, Jonathan Cape, 1966). He served as Fleming’s assistant when both men worked at the Sunday Times of London. 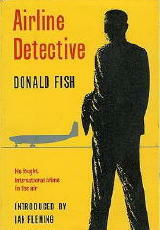 Fleming arranged for Pearson to ghost-write his first book Airline Detective: The Fight Against International Air Crime as Donald E. W. Fish (also published in as a paperback in the UK as Zero One). 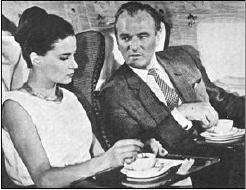 The book was so popular it spawned the thirty-nine episode BBC-TV adventure series Zero One (1962-1965) featuring Nigel Patrick as Alan Garnett, Chief Investigator for the International Air Security Board. Airline Detective was, technically, non-fiction as it was the story of the real “Donald Fish,” but I believe there was a great deal of artistic license employed. Incidentally, Ian Fleming provided the introduction to the original Collins 1962 edition. Pearson’s first proper novel Gone To Timbuctoo (Collins, London) was also first published in 1962. Fleming sent Pearson to Africa for the Times and he returned with this travelogue suspense-thriller set in Africa that involved diamond smuggling and slave trading among other things. Pearson was awarded the Author’s Club Award in 1962 for Gone To Timbuctoo in the “Best First Novel” category. Most of Pearson’s books are non-fiction works and he seems he have switched between biographies of literary figures, royal subjects and London-based criminals. In the latter category was The Profession of Violence: The Rise and Fall of the Kray Twins (1972) which was nominated for the prestigious Edgar Allan Poe Award in 1974 for “Best Fact Crime” from the Mystery Writers of America. Years later he followed that book up with The Cult of Violence: The Untold Story of the Krays (2001) and, most recently, The Gamblers: John Aspinall, James Goldsmith and the Murder of Lord Lucan (2005). I believe The Gamblers is being made into a feature film or, at least, I think I’ve read that somewhere. Oh, I almost forgot: Pearson’s One of the Family: The Englishman and the Mafia (2003). More info and background material on that title, can be found here. If I can be of more help, please don’t hesitate to write. Addenda to CRIME FICTON IV: JAMES ANDERSON, JACK ANDERSON & More. I was working in the A section of Part 21 this afternoon, and I made my way down to “Anonymous” before stopping and checking with Al Hubin on some details, which included a possible new real name of one of the authors. As for the names you’ll recognize the most, James Anderson, who died earlier this year, was one of the best writers of retro-1930s mystery fiction around and will be missed. 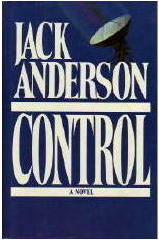 Jack Anderson, if you’re of a certain age, you will know largely for his other endeavors, but his fiction is in Crime Fiction IV, no doubt about it. And by the way, take a look at the three cover images included in this blog posting. How different could three books be and still be in the same genre? ALDRIDGE, LAWRENCE. Add as a new author entry. Pseudonym (?) of John Aldridge Lawrence Darrell, q.v. Born in London. Anagram in Africa. Book Guild Ltd., UK, hc, 1985. Setting: Africa. ALLATINI, ROSE. 1890-1980. Pseudonym: Eunice Buckley, q.v. Add as the author�s real name. ANDERSON, JACK(SON NORTHMAN). 1922-2005. Correct year of birth and add year of death; add middle name and full first name. Famed Pulitzer-prize winning political columnist with four thriller novels included in the (Revised) Crime Fiction IV, one marginally. See below. Zero Time. Zebra, hc, 1990. ANDERSON, JAMES. 1936-2007. Ref: CA. Add year of death. Author of 13 works of crime fiction listed in the (Revised) CFIV, three of which are novelizations of the television series Murder, She Wrote. The first word in the title of each of his other 10 novels (other than �The�) begins with the letter A. These range widely from cozy 1930s-style manor house mysteries (two highly amusing Chief Inspector Wilkins novels) to political thrillers and police procedurals. One of the Wilkins mysteries is shown below (Avon, pb reprint, 1983); an additional case, The Affair of the Thirty-Nine Cufflinks, appeared from Poisoned Pen Press in 2003. Add: The Exploits of Deacon Polden. Pickering, UK, n.d. [Stated as by �A London Journalist.�] Story collection as follows, all with SC: Deacon Polden. _Madame Mystery. Aldine, 1913. A rewritten edition of Bonanza Bill, Miner; or, Madam Mystery, the Female Forger. BUCKLEY, EUNICE. Pseudonym of Rose Allatini, 1890-1980. Add the author�s real name and both dates. Born in Vienna to a Polish mother and an Italian father, brought up in England. Married composer Cyril Scott in 1921; separated 20 years later. Under many pen names, the author of many novels concerned with reincarnation and/or having lesbian references. As Buckley, the author of one book included in the (Revised) Crime Fiction IV. See below. Music in the Woods. Dakers, hc, 1952. DARRELL, JOHN ALDRIDGE LAWRENCE. Pseudonym (? ): Lawrence Aldridge, q.v. 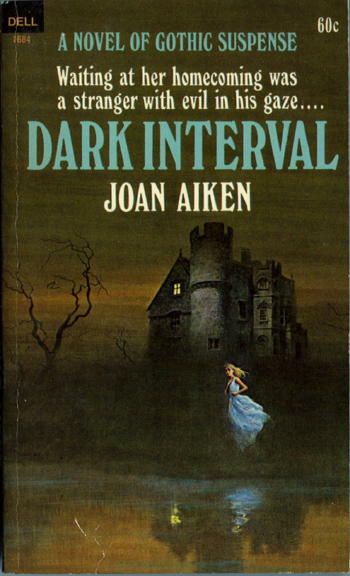 The covers of the gothic romance novel, as it appeared in paperback during its heyday in the late 1960s and early 1970s, quickly became pretty much standardized. This one, I think, captures the essence of about 80% of them. Gloomy castle or manor house with one light on in a window somewhere on the upper levels, young girl in an almost ghostly nightdress fleeing into what appears to be awfully rugged terrain � moors, ghastly bare trees, or murky pond or swamp � or maybe all three, like this one. This one’s nicely designed, though, and I think it catches the eye at least as well as any other in the category that I’ve seen. The artwork is by Hector Garrido, who did many many other book covers in almost every category and genre you can think of, including those for Sapir & Murphy’s “The Destroyer” series for a long stretch of its run. DELL. Paperback reprint, April 1968. Hardcover edition: Doubleday, 1967. First published in the UK as Hate Begins at Home: Gollancz, 1967. Her young life shadowed by tragedy, lovely Caroline Conroy was forced against her will to return to her father’s lonely manor house — Woodhue. She hated to leave her husband for even a few days — and she feared Woodhue House, and the sense of impending doom that seemed to shroud it like a dark and threatening cloud. Swiftly, chillingly, this sense of nameless evil assumed a human form. A darkly handsome man, at once fearful yet strangely attractive, drew her into his web of mysterious intrigue. And suddenly, desperately, hoping it was not too late, Caroline struggled to save her happiness, her marriage, her very life. This profile appears also in Part 21 of the Addenda to the Revised Crime Fiction IV, by Allen J. Hubin. Some of the dates of the Australian editions of Afford’s book were revised and reported on in Part 5, then Fender Tucker (of Ramble House fame) came along and added the first US editions of most of the titles. So much new data to include, in other words, that it necessitated a complete revamp of his entry, and here it is. AFFORD, MAX. Working name of Malcom R. Afford, 1906-1954. Born in Adelaide, noted playwright and radio producer with a biennial award given in his name to young Australian dramatists. Author of more than sixty radio and stage plays, with six crime novels and two books of plays included in the (Revised) Crime Fiction IV; see below. This now constitutes the author�s complete entry. Series character: Jeffery Blackburn (JB). Blackburn is a freelance sleuth who continually offers his services to Chief Inspector William Read on some very interesting cases. _The Dolls of Death. Sydney, Australia: Johnson, pb, 1947. Correction of publication date. 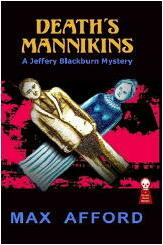 Previously published as Death�s Mannikins (Long, 1937). _An Ear to Murder. Sydney, Australia: Johnson, pb, ca.1947. Correction of publication date. 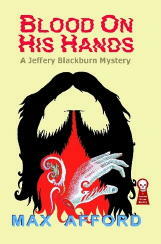 Previously published as Blood on His Hands! (Long, 1936). Fly by Night. John Long, UK, hc, 1942. (JB) Also published as: Owl of Darkness (Angus, 1942; Ramble House, 2006). Add the latter as the first US edition. _Lady in Danger [with Alexander Kirkland]. French, pb, 1946. Revised from 1944 Mulga edition written by Afford alone. Mischief in the Air. Australia: University of Queensland Press, pb, 1974. Collection of plays. Add complete listing, below. Those criminous are indicated with an asterisk (*). _Owl of Darkness. Angus, Australia, hc, 1942. Previously published as Fly by Night (Long, 1942). Add US edition: Ramble House, pb, 2006. 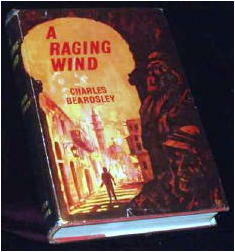 �A classic impossible crime novel about a villain dressed as an owl terrorizing a quaint village.� Shown is the cover of a Collins paperback reprint with a photograph of the author on the front. The Sheep and the Wolves. Sydney, Australia: Johnson, pb, 1947. (JB) Setting: Australia. Correction of publication date. Sinners in Paradise. Sydney, Australia: Johnson, pb, 1946. Setting: Australia. Correction of publication date. 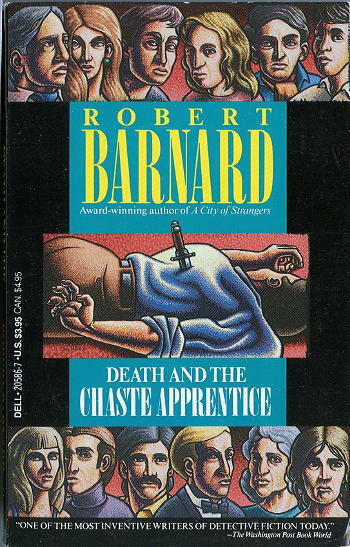 Paperback Cover #20: ROBERT BARNARD Death and the Chaste Appentice. I don’t know about you, but I’ve always had a fondness for the traditional kind of mystery with a long list of characters before the story begins and/or with a final scene in it with the detective in the case confronting the suspects and one by one points out why they might have done it, and how. One of those isolated manor houses, English, most likely, in which one of the people trapped somehow inside must have been the killer, but who? There aren’t many covers that do something similar, but H. R. F. Keating’s The Murder of the Maharajah was one, with small portraits of 12 of the characters shown on the front in some detail. And here’s another, with 12 more possible suspects (or additional victims) depicted on the cover. No artist is credited, which is too bad, as this is one that certainly caught my eye. DELL. Paperback reprint, September 1990. Hardcover edition: Scribner’s, 1989. 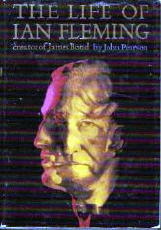 UK edition: Collins, 1989. Des Capper, landlord of Saracen’s Head, a splendid Elizabethan inn, had been called a bore, a snoop, and other things not fit to print. Currently he was provoking his newest arrivals, the performers of the Ketterick Arts Festival — as rowdy a group as ever trod the boards. Des thought knowledge was power and was busily digging up secrets to “get” someone good. The brilliant conductor with the Casanova complex … the gorgeous Russian soprano with a taste for bit players … the theatrical couple with a marriage so open it had a revolving door … all of them — and scads of others — soon had the urge to kill Des. Finally someone did. But why would be the best-kept secret of all. 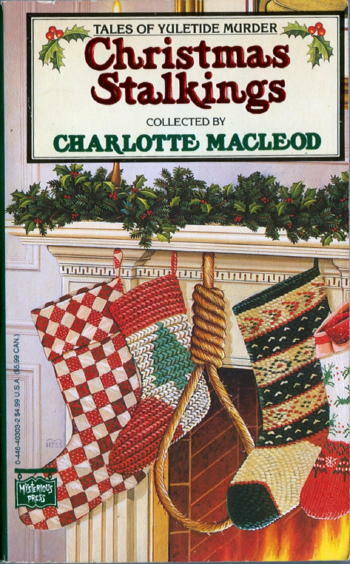 Paperback Cover #19: CHARLOTTE MacLEOD, Editor – Christmas Stalkings. For some reason that I’ve never been able to explain — not that I’ve ever tried — there has been a long-standing connection between Christmas and the crime story, and not just in the short story format. Back when Mystery*File was still an in-print journal, I published a checklist of all of the crime, mystery and detective novels that took place on or around Christmas. It was long in its initial form, and it kept getting longer and longer as additional suggestions continued to pour in. Figuratively speaking, of course. I’ll be taking the day off from blogging tomorrow. I sincerely hope that you will have family and friends nearby, or at least within a phone call away. In the spirit of the season, with a dose of Alfred Hitchcockian humor thrown in — well, more than a dose, I’m afraid, but the cover is nicely done — I offer you the following. Mark Hess is the artist. MYSTERIOUS PRESS. Paperback reprint, December 1992. Hardcover edition, 1991. Addenda to CRIME FICTION IV: Charles Beardsley, Simon Beaufort & others. I decided to fill in some of the gaps in Part 9 last night, but time was limited, and I didn’t get very far. I discovered that one of the authors whose career I chose to look into, Charles Beardsley, wrote a list of titles as long as your forearm, but Al Hubin is correct, only two of them qualify for inclusion in Crime Fiction IV. Beau Riffenburgh, another of the authors covered in this posting, is one of those people whom you wonder about. How can they find so much time in the day to do all they do? Read on. BATTYE, GLADYS STARKEY. 1915-1975. Add year of death. Pseudonym: Margaret Lynn, q.v. BEARDSLEY, CHARLES (NOEL). 1914-1994. Date of death confirmed. Pseudonym: Jocelyn Radcliffe, q.v. Born in California; held many jobs around the world, including those of port representative in the Philippines and engineering reports writer in Khuzestan. He became a full-time writer in 1968. Under his own name, the author of many novels, most often as US paperback originals; two early thrillers are included in the (Revised) Crime Fiction IV. See below. Baksheesh and Roses. Mayflower, UK, pb, 1968. A Raging Wind. Davies, UK, hc, 1961. Setting: Morocco. BEAUFORT, SIMON. Joint pseudonym of husband-and-wife writing team Elizabeth Cruwys, 1958- , and Beau Riffenburgh, 1955- , q.v. Add year of birth for the latter. Under this pen name, the authors of two historical mystery novels included in the (Revised) Crime Fiction IV. See below. Add series character in each: Sir Geoffrey Mappestone, a Medieval knight whose first brush with murder occurs while on a Crusade. Since 2000 there have been at least three more titles in the series. Dr Beau Riffenburgh and Dr Elizabeth Cruwys have also been editor and assistant editor for Polar Record, an internationally refereed journal of polar research. 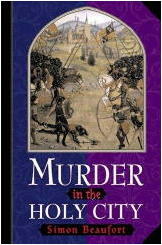 Note: On her own, Elizabeth Cruwys also writes historical mysteries as Susanna Gregory. A Head for Poisoning. St. Martin�s, hc, 1999. Setting: England, 1101 AD. Murder in the Holy City. St. Martin�s, hc, 1998. Setting: Jerusalem, 1100 AD. LYNN, MARGARET. Pseudonym of Gladys Starkey Battye, 1915-1975, q.v. Add year of death. Under this pen name, the author of six novels included in the (Revised) Crime Fiction IV. First published in the UK, all six were reprinted in the US, five in hardcover. When published in the US in paperback editions, the books were generally considered to be a gothic romantic suspense novels. RADCLIFFE, JOCELYN. Pseudonym of Charles Beardsley, 1914-1994, q.v. Confirm date of death. Under the pen name, the author of one gothic romantic suspense novel included in the (Revised) Crime Fiction IV. See below. RIFFENBURGH, BEAU. 1955- . Add year of birth. Joint pseudonym with Elizabeth Elizabeth Cruwys, 1958- : Simon Beaufort, q.v. He is not only a mystery writer, but both a historian specializing in polar exploration and a noted expert on American football, with many publications to his credit.